I'm not going to whine about the cold and snow. Instead, I'm taking advantage of this inside time. Giving thanks for a warm place to focus on creating, and, a new place to share my creations. 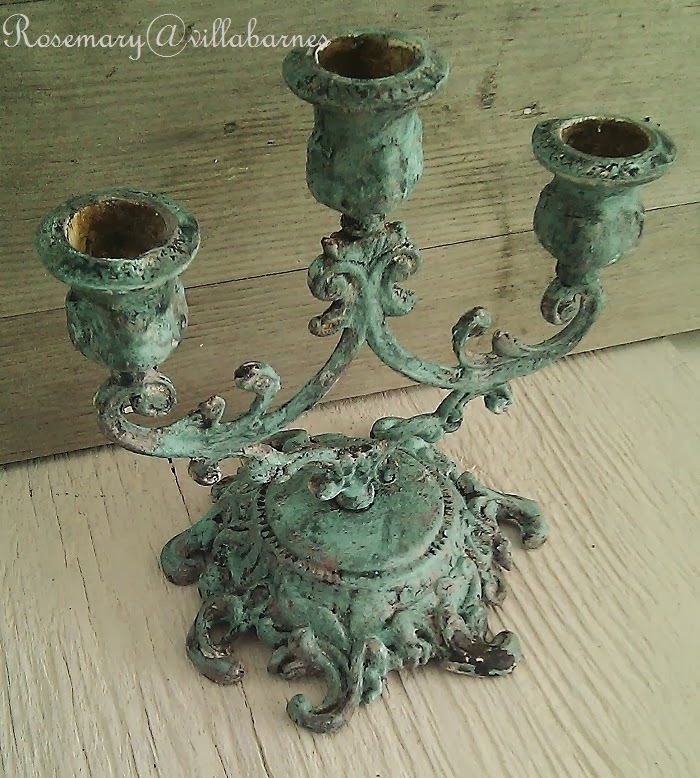 Like this candelabra I configured from salvaged parts. 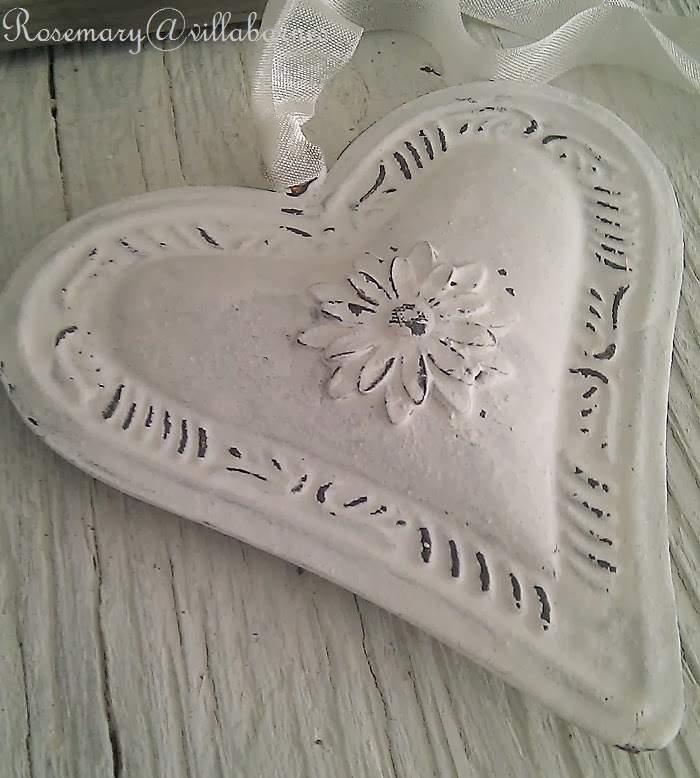 I'm redesigning, creating, painting, and adding new items to My Zibbet shop. If you didn't see my last post, you can check out my shop HERE. 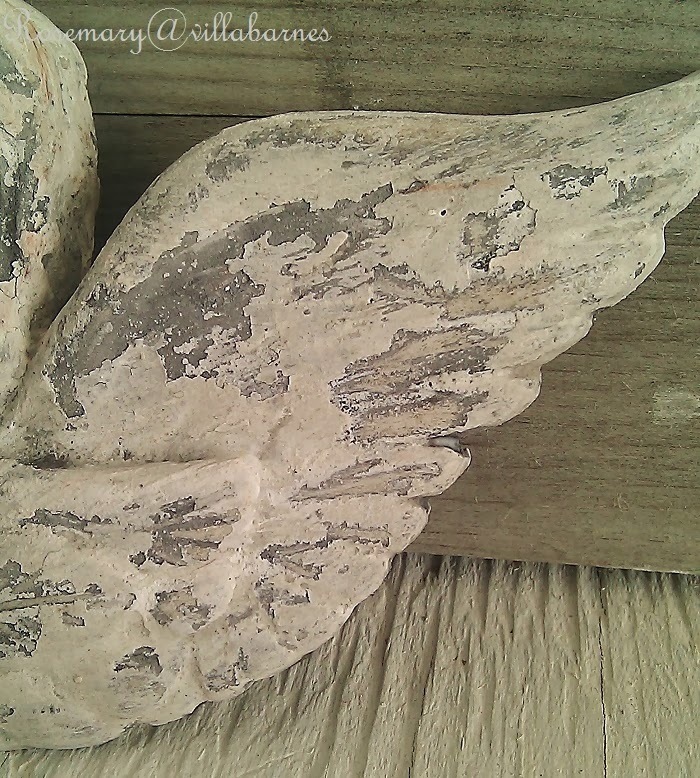 I'm having fun with the weathered, chippy finishes I love. 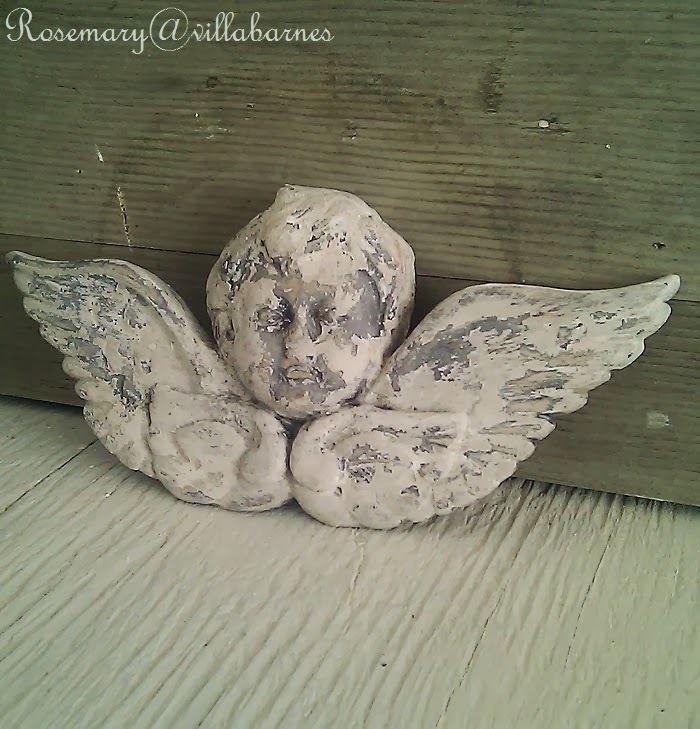 This cherub was a labor of love, and, a happy accident. I layered my own paint mixtures, with recipes from the FARRAGOZ course, and got this wonderful reaction. 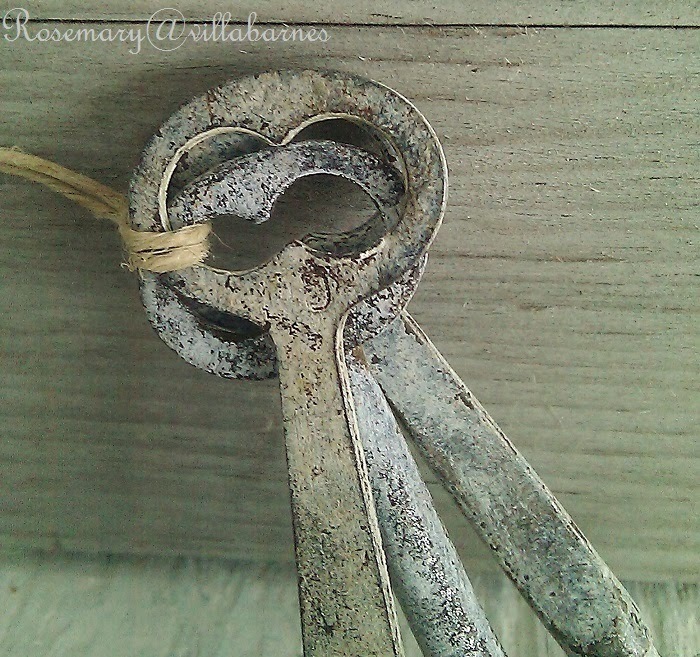 This metal heart got a makeover. It was gold originally. 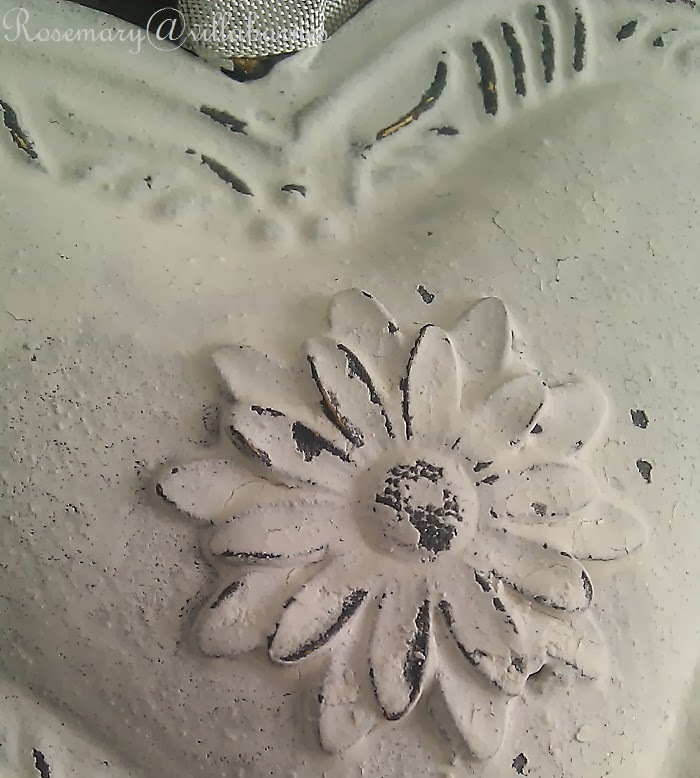 The salvaged metal daisy was something I added before giving it this lightly distressed, subtle crackled, soft white finish. 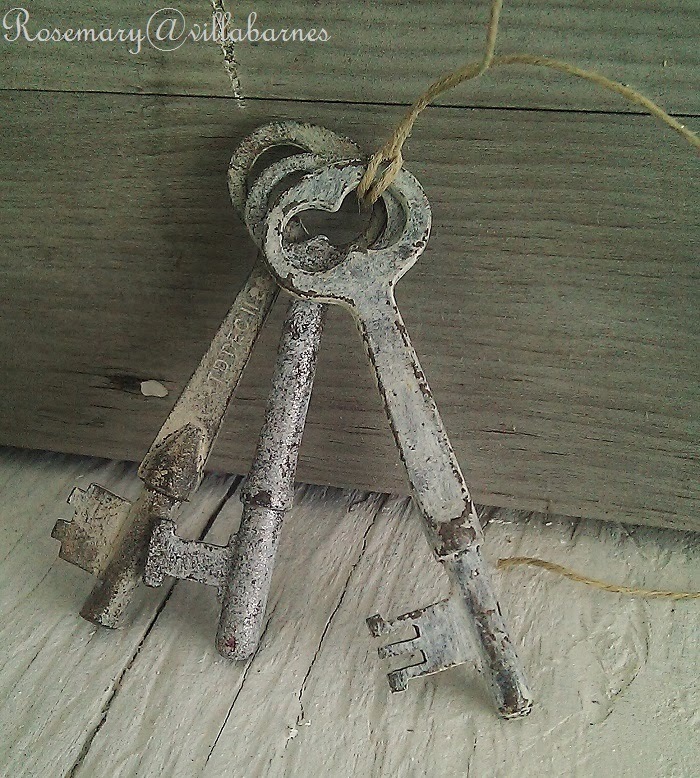 These vintage skeleton keys got a weathered paint finish as well. Nothing is safe, while I sip peppermint creme coffee, and curl up on the sofa. I'm also adding a little more character to small frames. Oh how I love keys. Happy New Year my dear! Looks like 2014 is your year. Keep warm! You are having way too much fun, Rosemary! I love all of your special finished and textures. The angel is beautiful! Love that candelabra, Rosemary! The color is great. The keys . . . The metal heart . . . The candelabra . . . All wonderful. You are making good use of the bad weather. I love the paint finishes you create on all your projects. 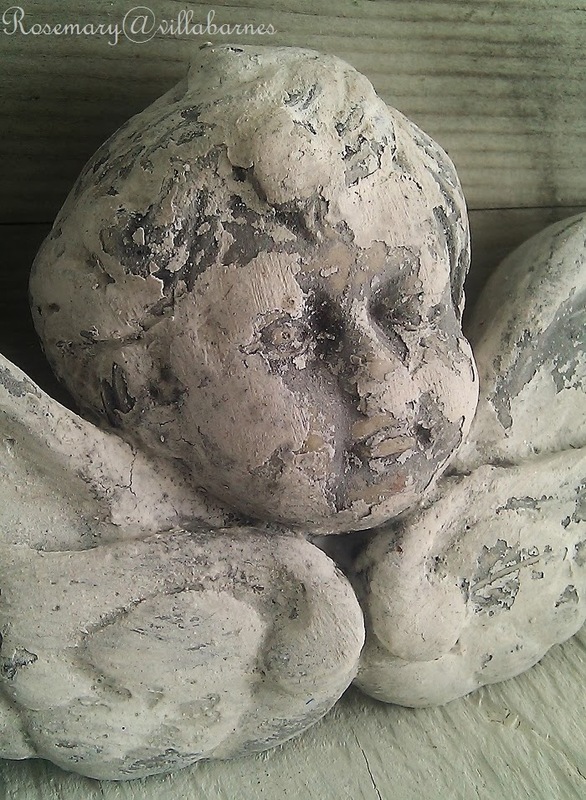 The chippy finish on the cherub is perfect. Have a great weekend! Stay warm Rosemary as I do enjoy seeing all your wonderful projects. Looking good! That's a great way to spend your time indoors. Our weather isn't very nice outside today either. Glad that the winter weather allows you to be cozy in your home and take advantage of your incredible creativity! Have a wonderful weekend! Rosemary, that's a great attitude to have during this frigid winter weather! All your creations look beautiful! Rosemary, these are great creations. Can't wait to get in the house I can make some purchases, LOL!! Stay warm and cozy I know it has been brutal where you are. Keep those creative juices flowing. Every time I view your beautiful close up photos, it makes me want to go try to replicate the way you paint. Always inspiring here! Happy 2014! Well I'm glad to see you are not letting the weather get you down. I find it hard to get motivated when it's so cold and dark out. I really love that frame! Nothing is safe, but that's a good thing. Love the color of the candelabra, and your angel is heavenly. 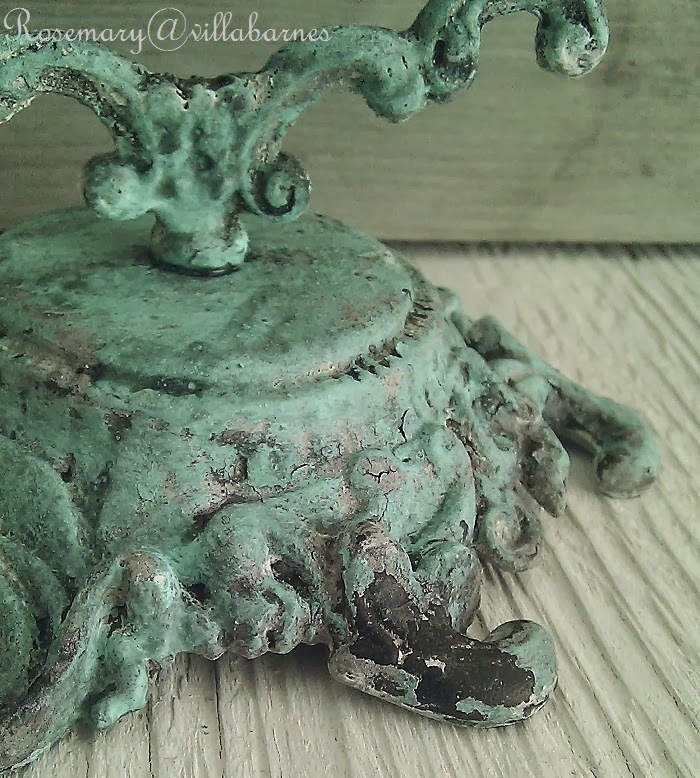 I hereby name you the official "Queen of Weathered Patina", Rosemary. lol You are utterly amazing at it! Each piece is so beautiful and so unique. Fabulous job as always, my sweet talented friend! 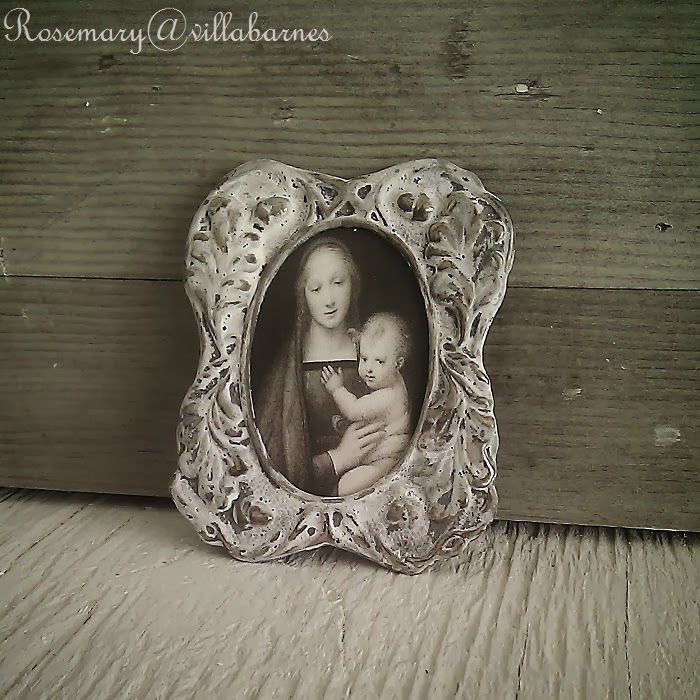 That frame you rescued is just beautiful - I see frames like that all the time at thrift shops but never saw the hidden potential inside them. I always get a great dose of inspiration when reading your blog!